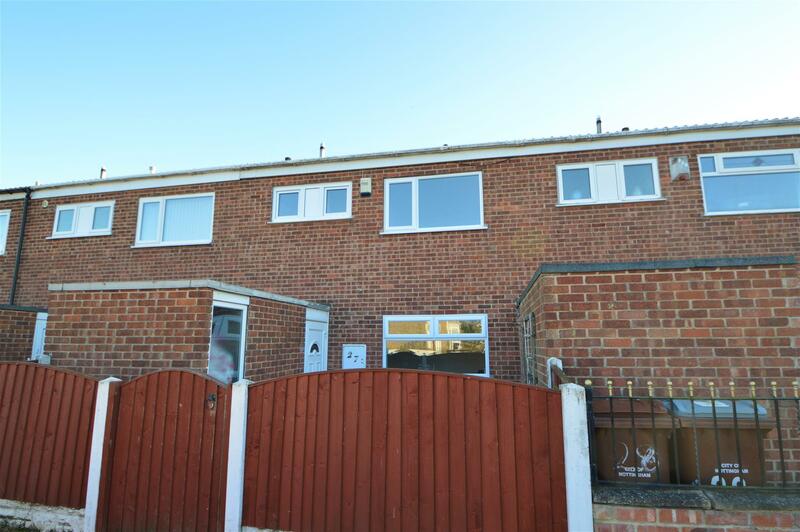 Benjamins Estate Agents are pleased to bring to market this recently renovated, three bedroom mid terrace house with NO CHAIN, located on the outskirts of Clifton, in a popular residential location. This property is Ideal for a first time buyer, as an investment opportunity or for anyone downsizing. The property has undergone a full re-furbishment, include; new kitchen, bathroom, radiators, carpets and re-decoration. The accommodation briefly comprises; outhouse, entrance porch, hallway, dining kitchen and spacious lounge. Upstairs there are three bedrooms, two of which are doubles, an attractive landing and family bathroom with electric shower. Further benefiting from a NEW COMBINATION BOILER, NEW CARPETS, NO CHAIN, enclosed rear garden and on street parking to the front of the property. This spacious, newly installed modern kitchen offers a good range of cream wall and base units with complimentary work surfaces over and tiled splash back. Inset one and a half bowl sink with drainer and mixer tap over. Inset electric four ring hob, electric fan assisted oven and grill with extractor fan and light above. Space for fridge freezer, space and plumbing for a washing machine and dishwasher. Double glazed window to the front aspect, ample space for a table and chairs, radiator, ceiling light, power points. With double glazed sliding doors to the rear garden, double glazed window to the rear aspect, carpeted, pendant ceiling light, radiator, telephone point, television, internet and power points. Fitted with a white three piece suite comprising panelled bath with Tritan shower over, pedestal hand wash basin and low level WC. Fully tiled roundWith two opaque double glazed windows to the front aspect tiled walls. With a UPVC double glazed window to the front aspect, radiator, pendant ceiling light, fitted carpet, power points. With a UPVC double glazed window to the rear aspect, storage cupboard, fitted carpet, radiator, pendant ceiling lights and double power socket. With a double glazed window to the rear aspect, fitted carpet, radiator and power socket. The front garden is enclosed by panel fencing with a front gate and pathway leading to the front door. The property has a private, family sized, low maintenance garden. Enclosed by panel fencing with a secure gated access to the rear. Floor plan and EPC (Energy Performance Certificate) to follow.